His Majesty King Abdullah II with HRH Prince Ghazi, Chief Adviser to the King for Religious and Cultural Affairs and the King’s Personal Envoy. Amman, May 15 2012 (Petra) – His Majesty King Abdullah II on Tuesday opened the Museum of the Prophet Mohammad, peace be upon him, on the grounds of the King Hussein Bin Talal Mosque compound in Amman. 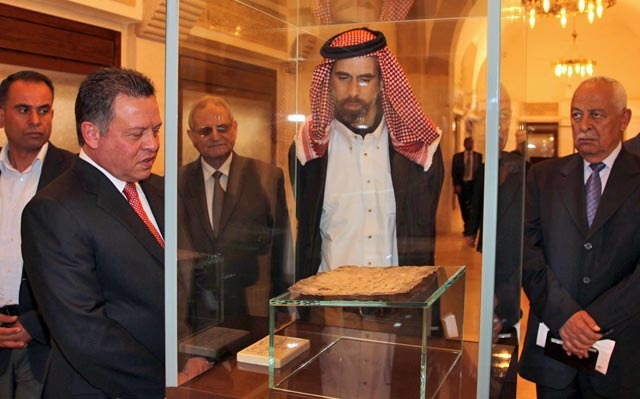 The King toured the museum and viewed items on display, which include a hair of the prophet’s beard and a letter he had sent to Hercules the Great of Rome inviting him to Islam. The museum also contains a sapling of the tree where the Prophet had taken a rest in its shadow in the Jordanian Desert. The ceremony was attended by The King’s Personal Envoy and Special Advisor, His Royal Highness Prince Ghazi Bin Mohammad, Royal Court Chief Riyad Abu Karaki, Minister of Awqaf and Islamic Affairs Abdul Salam Abbadi, the Grand Mufti of Jordan Sheikh Abdul Karim Khasawneh and other officials. 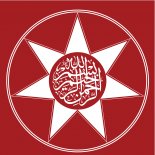 This entry was posted on May 12, 2013 by ASFC in Ahmed Amiruddin, Political Leaders, Spiritual Experiences and tagged Ahl al-Bayt, Arab royalty, Hashemite Kingdom, His Majesty King Abdullah II, House of Muhammad, HRH Prince Ghazi, islam, Jordan, Monarchy.